METAMORPHOSIS bears witness to a moment of profound change: the loss of one world, and the birth of another. Forest fires consume communities, species vanish, and entire ecosystems collapse. Economic growth, tied to increased speed of resource extraction, has created a machine with the capacity to destroy all life. 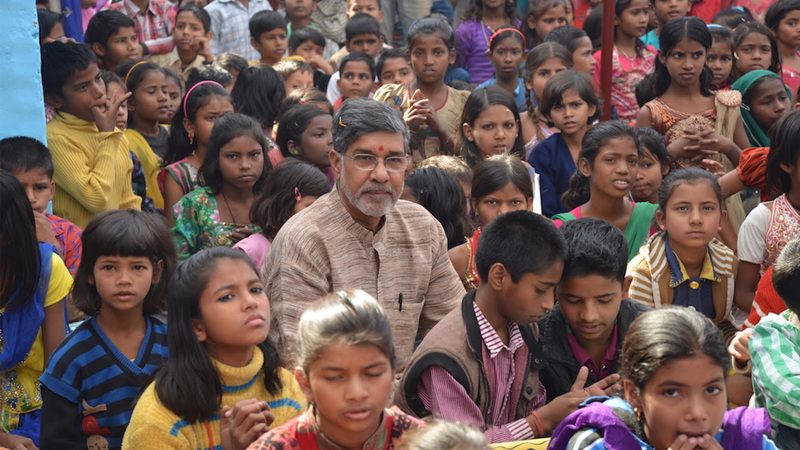 ​But this crisis is also an opportunity for transformation. ​Through a tidal flow of stunning images, Metamorphosis carves a path from the present to the future. ​Woven together with stories of creativity and reinvention from artists, scientists, thinkers, and young children are creative, systemic solutions for our planet, and for our communities. Metamorphosis cinematically delves into how humanity is being transformed in new ways by the environmental crises we have created. When a woman in Oregon opens a box of Halloween decorations and finds a distressing letter written by a political prisoner from inside a Chinese labour camp, her discovery makes waves across major news outlets worldwide. Meanwhile, the author of the letter, Sun Yi, breaks through internet firewalls to learn about the attention his letter has received and joins forces with an underground network of journalists and Chinese dissidents to reveal his entire story. From Peabody Award-winning director Leon Lee, Letter From Masanjia takes us deep into the horrific realities of China’s labour camps through the eyes of Sun Yi, who’s determined to expose these unthinkable human rights violations. Despite being hotly pursued by local authorities, he stops at nothing to find justice, ultimately leading to large-scale reform of China’s labour camp system. In a real-life Black Mirror story, two live streamers seek fame, fortune and human connection in China’s digital idol-making universe, ultimately finding the same promises and perils online as in their real lives. Joong-wha Choi, a former soldier in the DPRK, lives with his wife and kids in a sleepy London suburb. Despite enjoying the new found comforts of his British life, and being emancipated from the pressures of the North Korean state, his dilemma lies in a desire to return to the land that betrayed him, but is undoubtedly his true home. The film tracks his reflections on both why he left North Korea and the state of his day to day life over the course of several months, in what is ultimately a portrait of the complexities of healing from trauma. Powerful intimate stories of young refugees who risked their lives crossing the Aegean Sea to Europe, only to get trapped on the Greek Island of Lesvos with no future and closed borders. It was supposed to be only their “transit” stop, but it turned out where they ended. The Price of Free (formerly titled Kailash), a suspenseful yet intimate look at one man’s groundbreaking struggle to liberate every child possible from slavery. From director Derek Doneen and Oscar winning filmmaker Davis Guggenheim (“An Inconvenient Truth,” “He Named Me Malala”), the film follows Nobel Peace Laureate Kailash Satyarthi and his team of leaders around the world through gripping secret raids and quests for missing children in the hopes of ending the cycle of poverty which forces them and their families into dreadful circumstances. Refusing to be daunted by the impossible, they have succeeded in rescuing over 80,000 children and created a global movement which has resulted in legislation which helps protect young children. The true story of the retired factory workers from the small town of East Kilbride, Scotland who refused to repair Chilean warplane engines in protest against Pinochet’s brutal military coup in 1973. 40 years later, to the surprise of the Chileans and the Scots, they discover the incredible consequences of their solidarity. What if your home becomes the place you fear? An Iraqi father returns to Fallujah to face the threat of improvised explosive devices (IEDs). Join him in his home and discover the unfolding of a tragic event. “Home After War” is a room-scale, interactive virtual reality experience that takes you to Fallujah, a city that was under Islamic State (IS) control. until recently The war against IS has ended but the city is still unsafe. There’s one looming fear for returning refugees – booby trapped homes and improvised explosive devices (IEDs) in the neighbourhoods. Since the end of the war, thousands of civilians have died or been injured by IEDs. Ahmaied Hamad Khalaf and his family returned home after the fighting subsided. Experience what it’s like to fear the home you once loved. “The Hidden” is a political thriller that literally drops you in the middle of a high stakes game of cat and mouse without telling you who is hunting whom. In a manner only possible in VR, “The Hidden” will have you experience the pulse-pounding fear and turmoil of an ICE Raid from every perspective. Shannon Scott driven by the military tenet of “Leave No One Behind,” pulls the levers of democracy urging freedom and justice for all be secured from the marbled halls of Washington D.C. to the hallowed ground of those who championed LGBTQ and transgender equality before her. Fighter, mother and a survivor of child sexual abuse, Nusrat is determined to ensure no other child experiences the physical or emotional trauma of such horrendous acts. 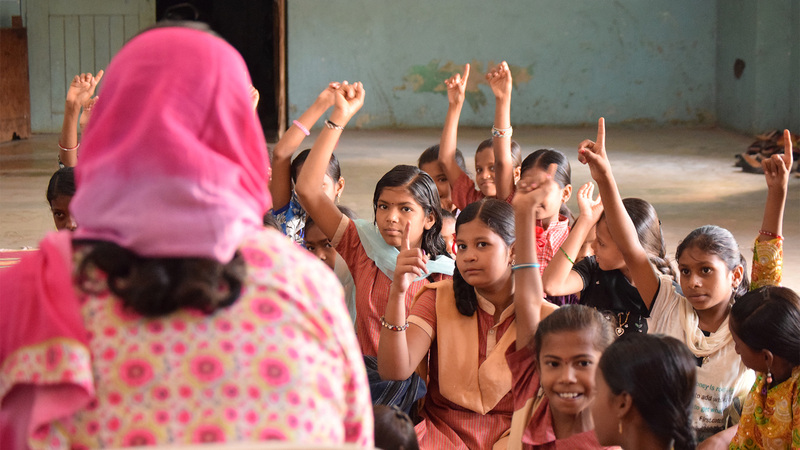 Together with husband, she founded Cactus Foundation to teach children in schools in India, how to recognise and report abuse, as well as to challenge society to recognise the problem, and take action. The volunteer-driven movement has even become a safe space for survivors to reach out and share their stories, giving voice to an issue too often swept under the carpet. HelpUsGreen is a unique social enterprise based in Kanpur, India. It collects four tonnes of waste flowers everyday from temples and turns it into sustainable products such as organic fertiliser and incense sticks. In doing so they prevent pesticide laden flowers from entering the river Ganges thereby stopping an important polluting element. The waste is hand sorted by marginalised Dalit women previously working mostly as sanitation workers who often faced social discrimination, exploitation and violence. The company provides them with bank accounts, health benefits and insurance, not to mention fair wages. Financial incentives aside, their lives have transformed through this employment. The women feel relieved to have left work that brought them indignity and insecurity. 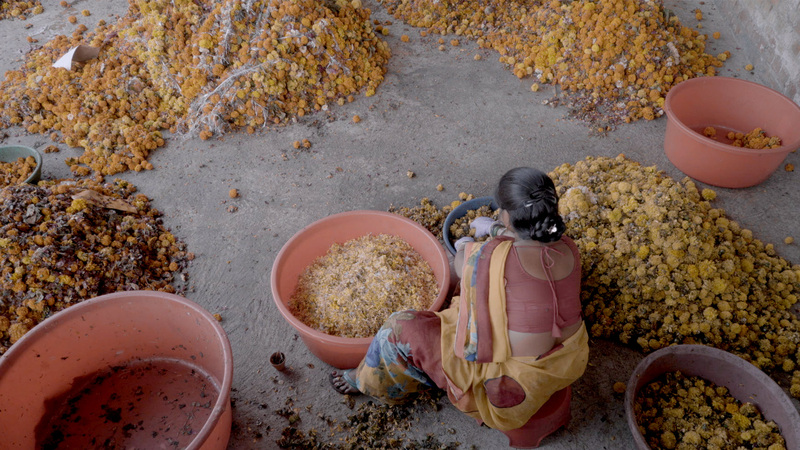 Dignity With Flowers is a film that reveals the story of one such woman Ranjana, who feels her life has turned around. If others do the same Ranjana says, there will be positive change everywhere. 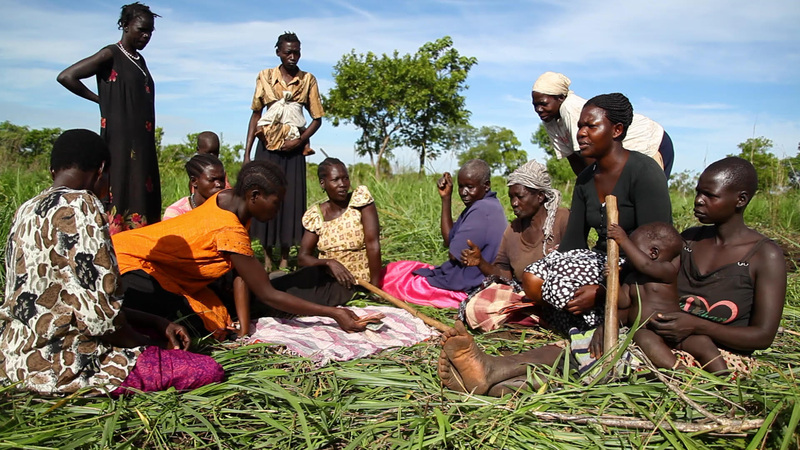 Set in a rural village in Northern Uganda, this short-doc tells the story of a Women’s Empowerment Group started by female survivors of the Northern Ugandan War in search of rehabilitation, economic stability, and emotional support.